As a property seller, when you select your estate agent you are choosing the person and the company that will represent you in negotiations with potential purchasers. Granted, there are a number of factors to consider in selecting your agent. Who will do the best marketing to attract the best buyers? Who has the best strategies to get the buyers to compete for your property? But what happens once the buyer has been sourced? It’s human nature for a buyer to want to buy the property they want for as little money as possible. In many cases a buyer will start by offering less than they are willing to pay. So as a seller, when an offer is presented to you, just how do you know if it’s the best price that buyer will offer? Will they increase their offer? And if so, then by how much? All these are questions that need to be answered so that you can be convinced you are selling for the best possible price on the day. To that extent, you are placing your complete trust in the agent and agency that you have chosen to represent you. Just how do you select an agent on their ability to negotiate for you? Firstly, you need to be convinced that your agent has the correct strategies to attract the buyers and put them in a position where they compete with other buyers for your listing. So what are the strategies your agent is proposing? What will make your property stand out in the crowd? How will they create buyer competition? 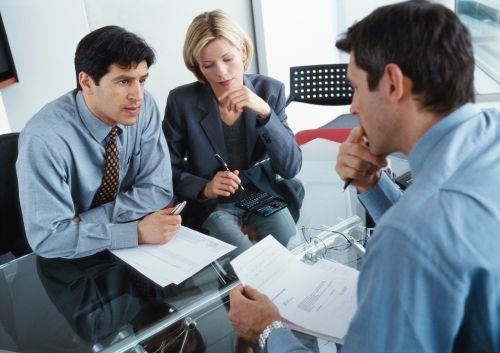 Once you have satisfactory answers you now need to test the agents’ negotiating skills. One of the best ways to do this is to challenge the agent on their commission structure. What do they charge? Why? What do you get for the fee? What will they do that is different from other estate agencies? Now here’s the interesting part: what is the agents’ response when you ask them to discount their fee, or to match the lower fee of other agents? Are they quick to drop their fee? Do they easily “fold” and discount in order to secure your sole mandate? In our experience there is an increasing number of estate agents slashing their fee to secure a listing. But consider this: if they are so quick to give away their own money, then what confidence can you have in them to negotiate a buyer up to their maximum when it comes to your money? Good negotiators can convince people of the benefits of a specific product or service and show why they should pay the associated costs. If an agent cannot show why they are different and better, and how this benefits you, then they won’t be able to justify their fee. On the other hand, an estate agent that presents you with a strategy to achieve you the best price and can justify their fee is exactly the person you need representing you in the market. Select wisely as you get what you pay for – and cheapest is most certainly not best.